Save 30% on XL variant, get all free updates and features! 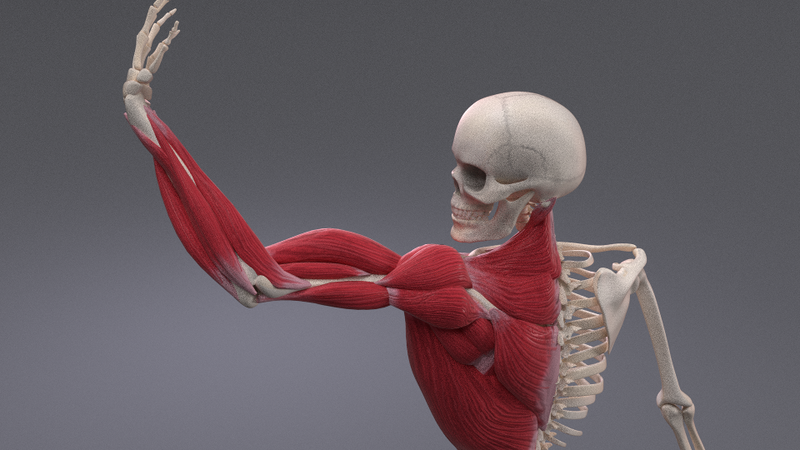 X-Muscle System is advanced, physics based tissue simulator for Blender. X-Muscle System is an add-on designed for rapid muscular system, tissue and other organic object creation and their physical simulations. Its main purpose is to help visualize better skin surface deformations according to volume preservation of the body muscles, fat and even skeletal bones. Add-on lets you focus on the design, creativity and to significantly speed up the workflow with extremal learning curve. With X-Muscle System an artist is free to focus on the artwork and use effectively his time to create even more realistic, complex shapes and animations of characters and creatures. With its simplicity and integration with Blender's native tools, X-Muscle System is powerful, easy in use and ready to start straightaway. X-Muscle System has been designed and written from the scratch and completed with the functionality you always wanted. These are only few features system provides. Refer to the documentation for full specification. Thanks to flexor and extensor muscle types creating biceps and triceps for your character was never that easy. With powerful X-Mirror option there's no need to duplicate work. X-Mirror will guarantee excellent symmetry for tissue's shape, properties and behavior saving your effort and time. Now, with muscle pinning and bendy muscles, tissue shape will follow the bone chain of your rig. Thanks to that, you can create the most advanced and realistic muscular systems. X-Muscle System provides dedicated Display Tools which allows to work and inspect with ease. X-Muscle System works straight away and does not require any preconditions or additional setup so you can start adding great visual experience without reordering your scene. X-Muscle System comes with rigged human male skeleton model which allows you to immediately exercise your skills. Bring your digital art back to life! *3D Skeleton model should not be used as a real anatomy reference for medical purposes. 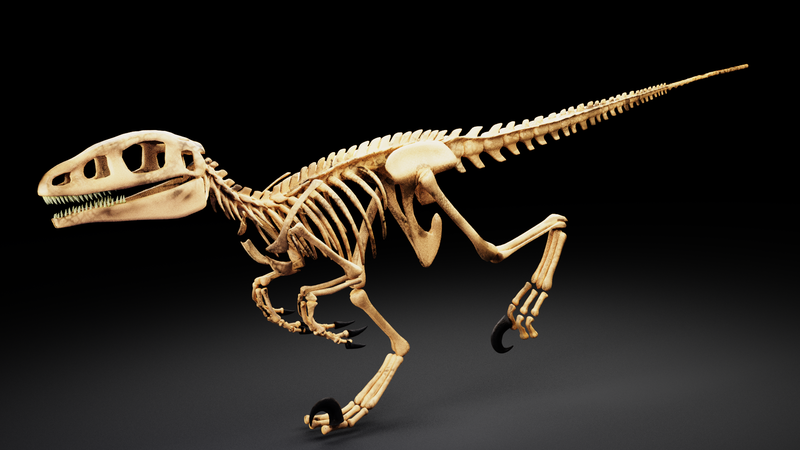 **included skeleton model does not contain muscles. PDF file documentation, examples and video tutorials are available. Besides new features, this Update contains many bug fixes. Besides new features, this Update contains stability, performance improvements and better scene management. It will work with Blender 2.8? Blender 2.8 is yet under heavy development and we're following it close. There's no showstopper to port it in future until now and of course we will do our best to port it when blender 2.8 was close to release. I want more freedom in movement of my model! Some control bones transformation may be limited by default. If you want more elasticity of your model just unlock transform for Loc Rot or Scale for particular control bones. My skeleton model is responding very slow when I move it. Each model has Subsurf modifier enabled by default. Disable the Subsurf for the Viewport in Modifier's section or use the Simplify in the Scene section to simplify the whole scene. What is X-Muscle System XL variant? X-Muscle System XL variant is deluxe edition of the add-on including high quality Anatomy Bundle rigged models and Exclusive Early Access to Beta Features. I already have X-Muscle System Standard, can I upgrade to XL variant? Yes, for upgrading the add-on contact X-Muscle System support and Blender Market team. What license is the skeleton model? I made a purchase some time ago but I can not update the add-on because I don't have an account! In this case please contact Blender Market support. They will help you and instruct step by step how to download the updated files. I want to update! Where are the files?! Each new version is available for download on Blender Market. Old files are always replaced by new ones. To download the update all you have to do is to download the same files. Add-on as well as documentation are always versioned so if you have any doubts just look for the version numbers in downloaded files. What is the difference between Blender Muscle Tools and X-Muscle System? How long I will receive new updates? X-Muscle System customers will be supported for the whole product life-time with all the documentation, video-tutorials, software updates, new features and bug fixes. All future updates and new content are free. 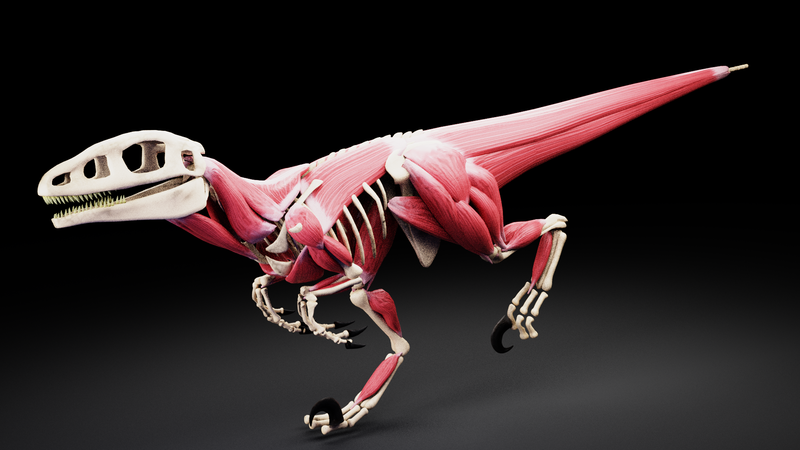 Can X-Muscle System export its muscular system for game engines like Unity or Unreal Engine? At the moment there are three ways of exporting character's mesh with muscle deformations. First of them is NewTek MDD exporter, which will export shape-keyed animation keyframes. The second one is done via Corrective shape keys. This second method allows to control specific muscle behavior within game engine via bone-driven shape-keys. Both add-ons are provided with blender and need activation in User Preferences. 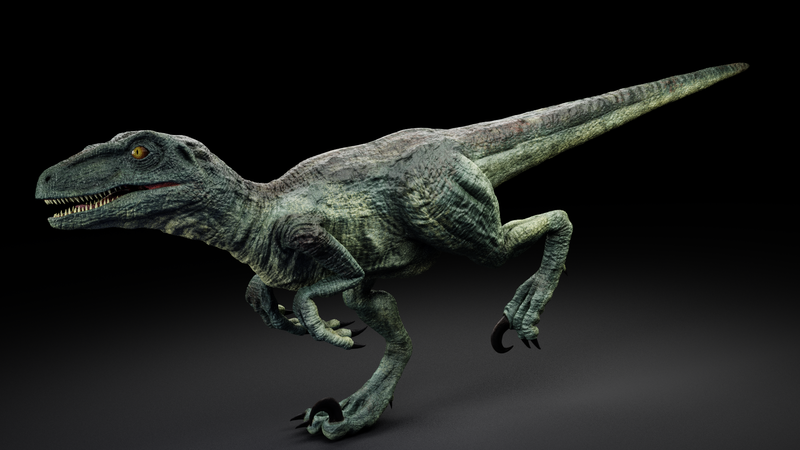 Third one is done by baking displacement map. 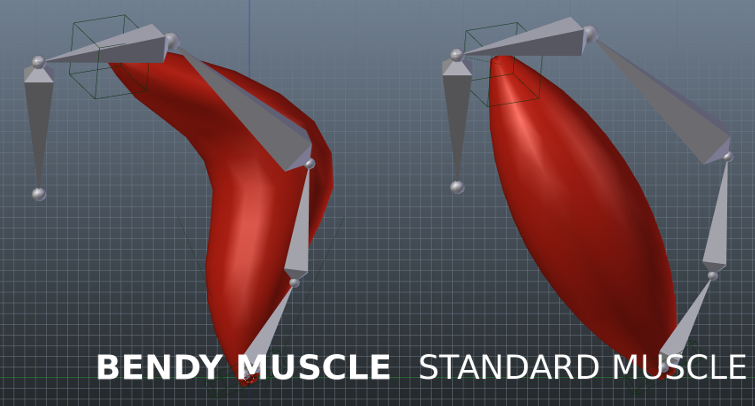 Is Blender Muscle Tools the same as X-Muscle System? No, Muscle Tools and X-Muscle System are not the same products. They're different projects and they're not even compatible. This item has an average rating of 5 from 19 ratings by the community. Congratulations on the system! It is really very good. I agree with others, this addon should be included in the basic blender package. If you have a vote on it, count on me. I confess, it was my fault. I did not read it right and bought it thinking that the skeletal model came with the muscles. However, I know that I am fully capable of creating the same muscles that you have created. I did not give you 5 stars because I think you could at least put the version of the skeleton with the muscles in a separate product or a third option with the included muscles, as I think a lot of people would be interested in buying, I was drooling over those muscles . But that's just a suggestion, okay? In fact, I just wanted to take half a point, but the Blender Market system does not allow it. I'm sorry! I think sucanagem give you only 1 star, after all the system is really very good. I only saw a similarity to Maia in Weta Digital, including they developed it. Then search for their breakdowns. You may want to develop a blender equivalent for a muscle deformation system called Lbrush. He is different from yours, so you can not compare; but it's sensational as well, as it's a sculpt system that accumulates shapekeys. Then search on the subject, tab: lbrush. I am more than happy to hear you're satisfied with the add-on. With upcoming 2.8 version there will be even more features and more effort focused to make results matching the highest production requirements. I'm doing my best to make upcoming X-Muscle System one of the most spectacular, high quality piece of software for Blender. Thank you for your support. We do our best to make it even better in future versions. Very impressive and well assembled. This is a tremendous asset for Blender. I hope the tutorial videos continue, as it is helpful to see the tools in use -- particularly for non-bipedal critters. Money well spent! The videos are not really advertising this awesome plugin the way it would deserve. X-Muscle works just great, and it's fast! One of the best Blender addon ever! Great Muscle addon!! that help me so much to make my Dragon looks more realistic!! Nice Add-on! Like how simple it is and can work with Auto Rig Pro :) hopefully will have a female skeleton in future, so i can reference how to set :) Thanks for the nice work! Thanks! 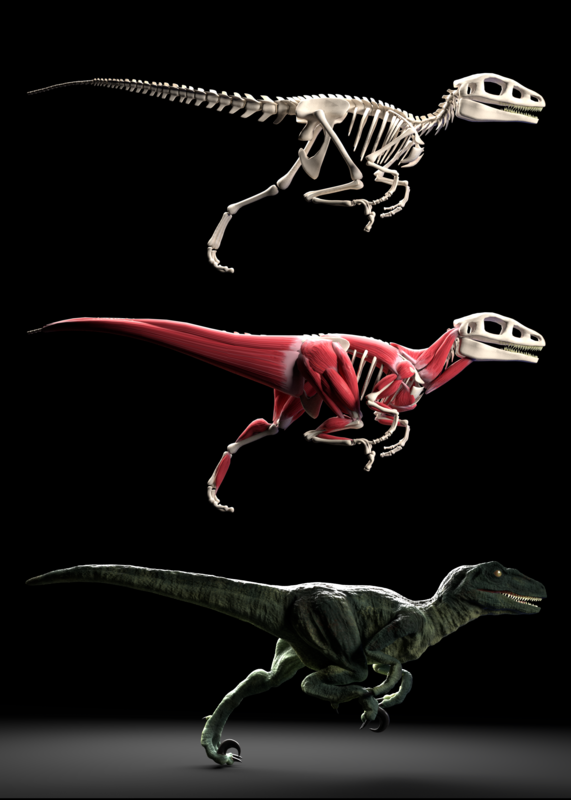 Will try to add female skeleton with the 2.8 update! I couldn't wrap my mind around if what I imagined was even possible in blender. Until I found this addon. Low poly models with a subdiv modifier turn into detailed scuplted beauties! Cheers! Thank you Erindae! Happy to hear that! Thank you romkosi! Blender 2.8 is planned to be supported! Great addon, hope you make a female skeleton as well. Thank you sotolink! With achieving 300 sales will come more models to Anatomy Bundle, there's a big chance for female skeleton model to come. Very nice addon, indispensable tool for muscles rigging. Does not come with actual muscle model, just skeleton. False advertising. Who told you there's anything like muscle model? You paid 35$ for the add on and got rigged skeleton worth 200$ for free and still unhappy. Do you have any real reason to for this rating? awesome stuff man, do you have any plans to release a female skeleton model? Thank you! There is a plan to expand anatomy bundle with new sort of rigged skeletons including popular animals. Have a good time with X-Muscle System! Great addon, Works perfectly out of the box!! Thank you! Have a good time with X-Muscle System!